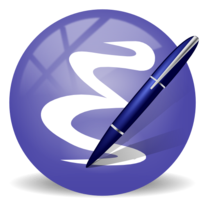 This layer enhances the default commands of Emacs and is primarily intended to be used with the emacs editing style as it does not change anything in the Vim key bindings. However the emacs editing style is not required, you can still use this layer while you are using the vim editing style if you have some kind of mixed style. The commands defined in this layer are taken from various sources like Prelude. Subsequent presses of C-a toggles between the beginning of the line and the first non-whitespace character. Similarly, subsequent presses of C-e will toggle between the end of the code and the end of the comments. A combination of kill-region and backward-kill-word, depending on whether there is an active region. If there's an active region kill that. If not kill the preceding word. Pressing M-q for the first time fills current paragraph and pressing M-q for the second time unfills it. Note that some modes override this key binding so it's not available everywhere. Due to implementation details unfilling doesn't work when called twice via M-x. To use this configuration layer, add it to your ~/.spacemacs. You will need to add better-defaults to the existing dotspacemacs-configuration-layers list in this file. Choose if C-a first brings you to the beginning of the line or the beginning of the code (first non-whitespace character). Choose if C-e first brings you to the end of the line or the end of the code (before or after comments).